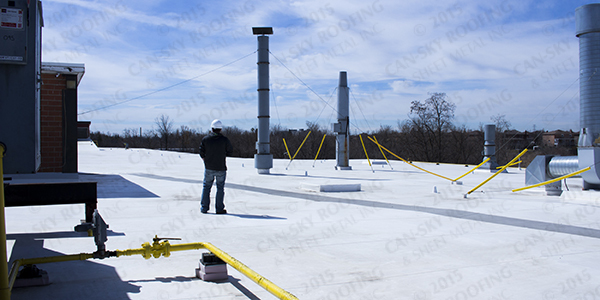 Can-Sky Roofing and Sheet Metal Inc.
A roof protects the top structure of a building from precipitation, sun, wind, and other elements- and it is expected to do so for a long time. 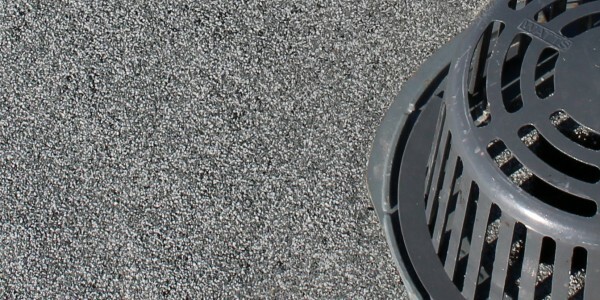 The built-up roof (BUR) membrane is typically constructed of four plies laminated together with liquid hot asphalt bitumen and surfaced with ballast. Single-ply roof systems are composed of one ply of roof membrane. 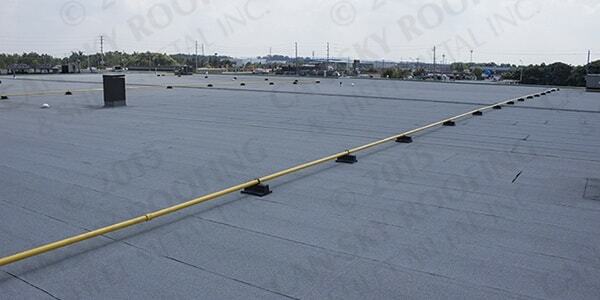 This membrane can be any one of a number of different materials that may be adhered, mechanically fastened, or ballasted to create your roof system. Protected Membrane Roof (PMR) systems are also referred to by a number of different names including inverted roof membrane assemblies (IRMA) and ‘upside-down’ roof assemblies. 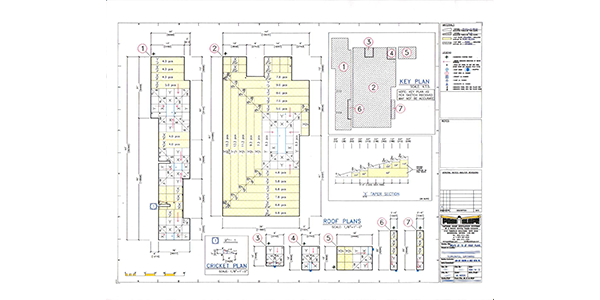 A well designed roof system incorporates a slope to the surface supporting the roof membrane- the substrate. 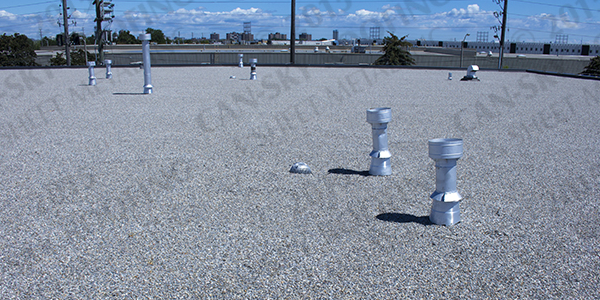 This slope allows for accumulated water to drain sufficiently, mitigating the risk of roof ponding. Here at Can-Sky Roofing we work closely with Agway Metals, Beacon Roofing Supply, Color Steels, Convoy Supply, ROOFMART, SPAR-Marathon and Vicwest as suppliers. 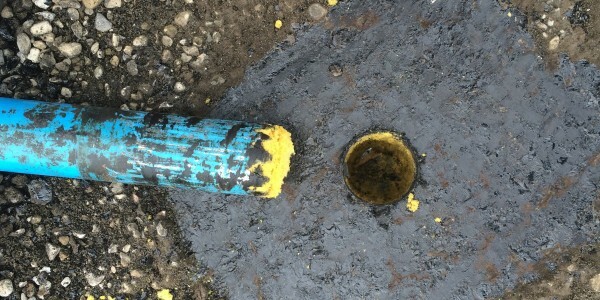 A core cut test is a useful and simple diagnostic tool for your flat roof system. A core cut test uses a tool called a core cutter to extract a sample of a building’s existing flat roof system. 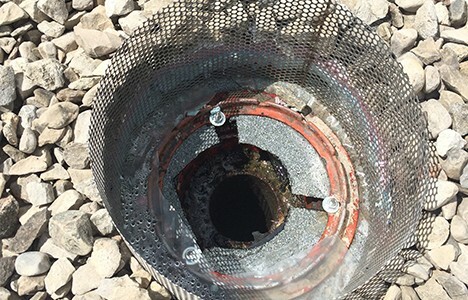 There are a number of reasons to perform a core cut test prior to a roof replacement or retrofit.